Events at The Rocket Complex in September 2013. VIP treatment and the best urban sounds! 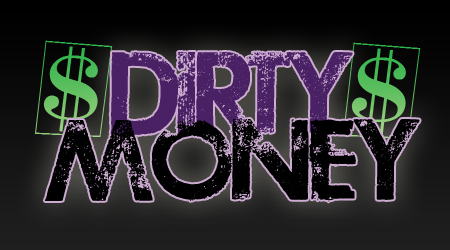 Free entry, cheap Metcard deals and the best urban music. Grab a free table with your mates and enjoy complimentary service on orders over £5. The lights go down and the sound goes up! Take to the dancefloor with DJs playing the best in Urban and RnB til late. Get ready to rock with free entry, free big screen Guitar Hero, free pool, and cheap drinks! Get up on stage, give us your best rockstar impersonation, backed by the awesome Rockaoke live band. Best performances win prizes! A spectacular performance of music and technology. A true showpiece of Freshers Fortnight! Warm up for the silent disco as we play Interstellar 5555, the dance animation to Daft Punk’s Discovery. Free entry and drinks deals! 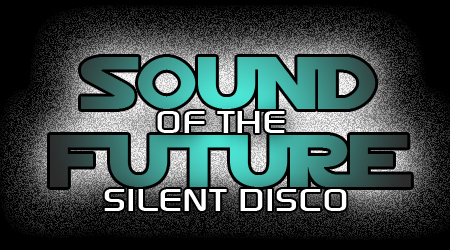 Massive silent disco with 2 dance and pop channels, explosive production, lighting and lasers! Free with FRESHERS WRISTBAND! £2 metcard, £3 any student card, £4 guest of student. You wont believe your eyes, this show is NOT to be missed! An amazing and hilarious show! 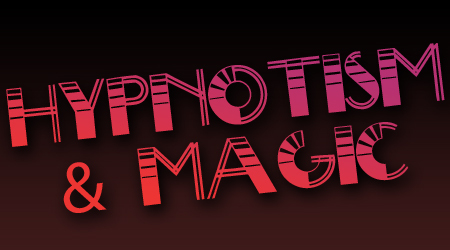 One of the best hypnotists around… Martin S Taylor will astound you with a combination of close up magic and incredible feats of hypnotism. Get your mates on stage and watch them perform a hilarious show they wish they weren’t! Free with FRESHERS WRISTBAND! £1 metcard, £2 any student card, £3 guest of student. 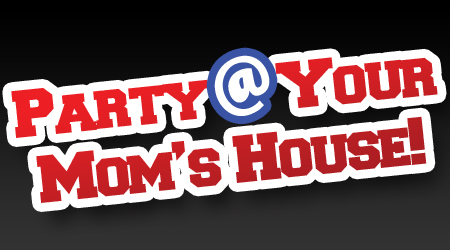 You’re mom’s on holiday so its time to have a party at her house! Its gonna be mental! Red Cups House Party!!! Get your free ‘Status Update’ tee shirt at the door and get friending! 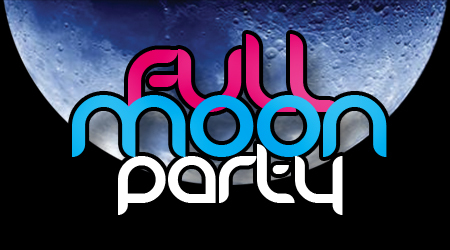 Beer pong, pens, geek glasses, and packs of cards provided…. You do the rest!! Games and competitions. Prizes for best dressed jock and nerd! Party in the tropical courtyard with DJs, a BBQ, and a steel drum band. In the main bar, dance til late with club DJs and cheap drinks deals all night. Tickets strictly limited and only available from the International Student Office. The first big club party of the year, always packed out! Join us for a wild night! Get tribal in our tiki courtyard with flaming torches, house DJs, bucket cocktails, limbo and fire acts! Inside it’s UV and glowing with free UV body paint and mountains of glowsticks! We’ve got great party DJs on all night playing the latest chart and pop hits, the best of dance and EDM and some serious dancefloor classics! 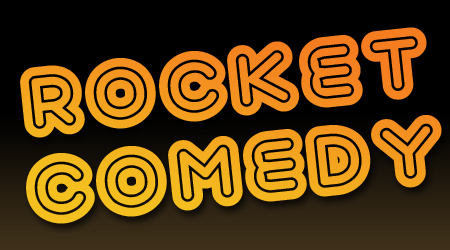 Come down to Rocket for a cheap pint and a great laugh! Get ready to ROFL. Incredible stand-up comedy from acts fresh from Edinburgh festival! And it’s all held together by our awesome MCs! 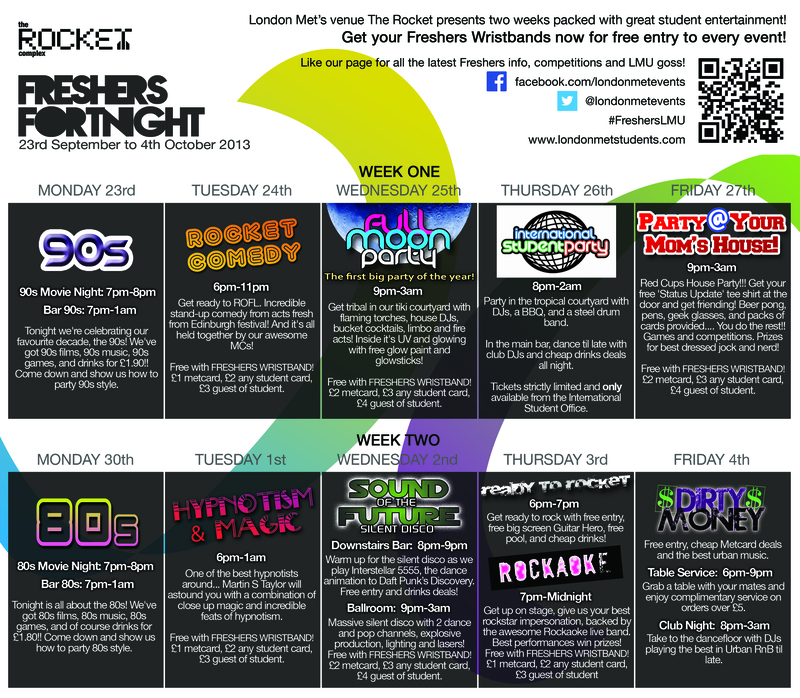 Hit up The Rocket to celebrate our favourite decade, the 90s! 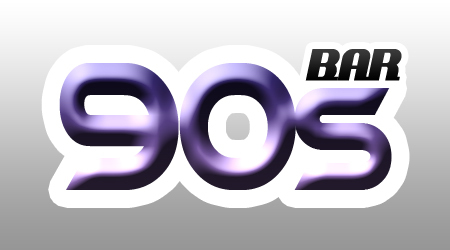 We’ve got 90s films, 90s music, 90s games, and drinks for £1.90!! Come down and show us how to party 90s style. Join us in the back room cinema for a hit 90s film, title TBC!